TIMING OUT TEEN YOUNG MAN NEEDS FAMILY YESTERDAY!!! TIMES OUT THIS MONTH AND I MET HIM! PLEASE READ AND BUMP!!! FOLKS I NEED YOUR HELP TO PUSH THIS BOY FAR AND WIDE! HE IS A TIMING OUT TEEN! TIMING OUT AS IN THIS MONTH!!!! HE NEEDS A DOSSIER READY FAMILY OR A FAMILY THAT IS WILLING TO DO AN EXTENSION FOR HIM. 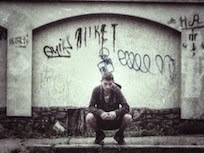 I MET HIM ON OUR TEAM MISSION TRIP TO EASTERN EUROPE. I CRACKED A JOKE AT HIM TO GET HIM TO LAUGH THEN TOLD HIM IT WAS A JOKE SO HE WAS SUPPOSE TO LAUGH AND HE CRACKED UP AND THAT WAS THE END OF IT. THIS YOUNG MAN WAS WITH ME ALL THE TIME. HE SHOWED UP WHEN OUR TEAM ARRIVED AND STAYED UNTIL THE END. I GAVE HIM A NECKLACE AND THAT BOY WORE IT EVERYDAY AND NEVER TOOK IT OFF. YOU COULD SEE HE JUST WANTED TO HAVE THE LOVE AND ACCEPTANCE OF A MOTHER & FAMILY. HE IS SHY AND QUIET BUT JUST WANTS TO BE WITH AND NEAR YOU. AND WHEN YOU LOOK AT HIM AND REACH FOR HIS HAND HE GETS A CROOKED GRIN AND GRABS IT. HE HAS A PASSION FOR READING AND LOVES ANIMALS. HIS HOPES IS TO BECOME A HOME BUILDER. HE BELIEVES IN GOD AND HIS WISHES ARE TO HAVE A FAMILY AND VISIT AMERICA. 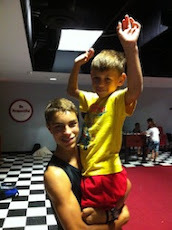 THIS BOY HAS GOT SOME TALL GENES IN THE FAMILY. AS YOU CAN SEE HE IS TALLER THEN ME. I INTERVIEWED HIM SO I HAVE MORE INFORMATION & I WOULD BE HAPPY TO SHARE AND OF MY TIME AND EXPERIENCE WITH HIM. LET'S GET THIS BOY A FAMILY!!!! PLEASE PUSH HIM FAR AND WIDE HIS TIME IS SHORT BUT THIS IS NO BIG TASK FOR GOD! THANK YOU! 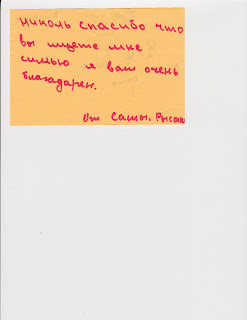 It says "Nicole thank you for helping me find a family, I am very grateful to you". -From "S". The moment I met him, blasted the poor boy with a photo! He's wearing the cross necklace he made in class. He believes in Jesus! He is a sport and when it came to activity games he went on up and played! LET'S FIND THIS YOUNG MAN A FAMILY!!! BUMP!!!! How much longer does he have? I so hope he finds his family soon, like your scott! Can you give me more information about this boy? 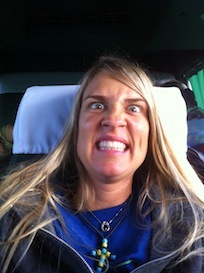 Kelly email me at diveshark@yahoo.com with what questions you have and I would be happy to answer what I can. Thank you! Saw Sebastian's picture on Facebook. 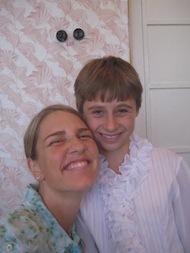 My husband and I first went to Ukraine in 2005, leading our (then) youth group on a missions trip. For the past 3 years we have been taking students from hubby's school there. And adopting has definitely been on my radar for several years. After our trip this year, I thought maybe the Lord is not calling us to adopt but to somehow care for orphans/their families. I still don't know the answer, but am really interested in your organization. What is the "extension" that Sebastian needs?? Thanks! To Visit "And This One Matters" Advocating For Orphans FB Page Please Click On The Photo Below! To Help Support and Follow Our Missions Trips To Ukraine Click On Photo Below! You Can Follow Me On Pinterest! Please Click On Photo Below! 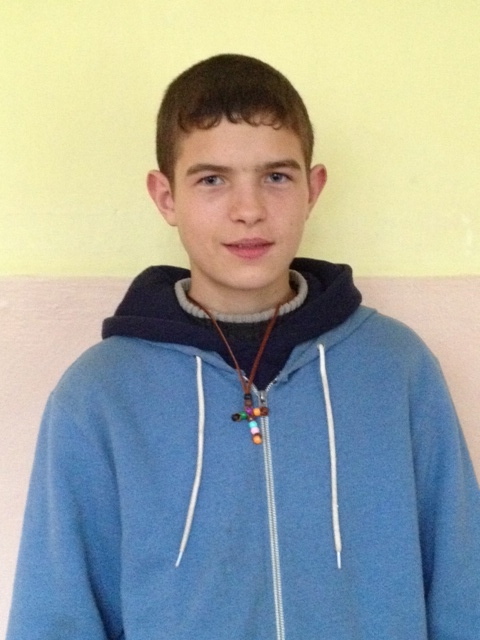 Adopt A Ukrainian Solider! Please Click On Photo Below! And This One Matters Videos! What Does Adoption Look Like? 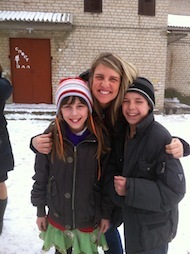 Reaching Out To Orphans Of Ukraine To Bring Them Hope! You Are More Then Your Mistakes! And Oh How This One Matters! Give justice to the weak and the fatherless; maintain the right of the afflicted and the destitute. Rescue the weak and the needy; deliver them from the hand of the wicked. Sometimes I would like to ask God why He allows poverty, famine and injustice in the world, when He could do something about it…but I’m afraid He may ask me the same question. What Does Nicole Mean By Advocating For Orphans? So glad you asked! In Ukraine many hosting programs are shutting down. 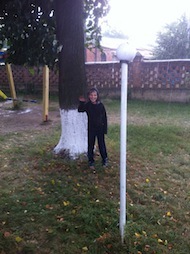 The reason being is boarding schools (orphanages) are being condensed the more the foster care system grows in Ukraine. This leaves the school Directors in fear of losing their jobs if they do not hold a specific number of children in their boarding school. Then the threat of shut down looms over their heads. The second reason is with hosting programs that means many children will find their forever families which means again the number of children falls under what is required for the school to remain open. It is a double edge sword. You have many Directors that want their children adopted but then they know if they loose their job they cannot support their family. It is not easy in Eastern Europe to find a job in a couple days. Especially with the current climate Ukraine is in with war at hand. 5 years ago Nicole started to notice the decline in hosting programs being allowed to continue to bring children over to America. 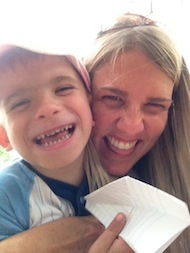 With the adoption of their children, especially their 2 littles ones Nicole & Joe knew they did not have the allotted time needed to dedicate to volunteer with NHFC and not be able to give it their all like they had done in the past. They did not want to fail the NHFC team. 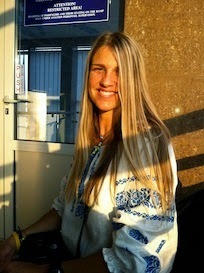 So they resigned and Nicole went freelancing in Ukraine. On Gods timing, when she was able, wherever God lead and with the team God put together. 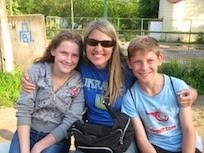 On these trips Nicole, her son Kolya and/or the team would teach children English, teach them about Jesus, love on them and then fight for them. Meaning if a child or boarding school staff came to Nicole and said this child wanted a family Nicole would interview them and spend as much time with them as possible to get to know them personally. Nicole would do this in an effort to learn as much as possible to help advocate for the child in hopes their forever family would come forward. Nicole would learn the good and bad in an effort to be upfront and honest with a potential adoptive family. 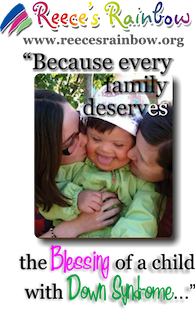 Nicole is not an adoption agency, a hosting agency, nor a professional and she does not work for anyone accept God. She is a gal after God's heart and children, a stay at home Mama that has worked with teens for 20 years and this is her heart and passion. In Eastern Europe it is very different then America. In America if a child is in the foster care system they can remain with their family for care until they are 18 years old. In America there is opportunity for just about everyone even if it is working at McDonalds. You are not labeled as an "Orphan". In Eastern Europe an orphaned children is basically wearing a stamp his/her their forehead that says "Orphan". 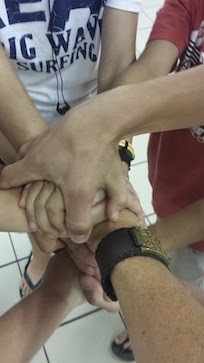 It is like a permanent tattoo that is with them for life and never washes off not only in their mind but to others. They are not wanted or welcomed in many cases. On a trip to Ukraine a sign was spotted that stated "No orphans allowed" that was posted up on the door of a store. At the age of 16 these children age out of their boarding schools and have a choice of trade school or the streets. Most of them have no family to turn to. So just imagine a 16 year old child left to their own with NO accountability. With the economic crises and war in Eastern Europe the children that have extended family like Grandpa, Grandma, a sister or a brother cannot afford to take in the child so they only visit. If the child should choose to go to trade school it generally consists of coal mining, hair dressing, etc. Even with that in school the kids again are accountable to themselves and if they do not hold up their grades they are on the streets. If they graduate they still are stamped "Orphaned". So should they apply for a job with many other folks they will be the ones tossed because of this label. So their chances of graduating trade school and then getting a job are slim to known unless they are one determined child. The trade school housing for the kids is old hospitals that are now used as dorms. If a child is not back to their dorm by 10PM they are locked out for the night and they will call the streets then bedroom. Many children have been noted to say that they are scared to be in the trade school dorms because of the violence, rap, prostitution, drugs and alcohol. One child was noted to say that he would find kids shooting up drugs in the hallway and passed out. He bought a gun illegally in order to be able to protect himself of the unknown there. Then you have the rebels that take the world on by themselves that either at this point in their life want to live independently and not report to anyone or just cannot handle the trade school life and want nothing to do with it. So they take the streets to make it. They generally fall into becoming thieves, go into prostitution or commit suicide in order to survive. No matter how you flip this coin the statistics are grim from these children. They are all survivors doing just that.......surviving. There is such a significant need all over the world even in America. Joe and I were foster parents and have served with youth in the US for our entire marriage and Nicole prior to marriage. God steered Joe and Nicole on a different path when they were introduced to NHFC and adopted their first son, Kolya from Ukraine. 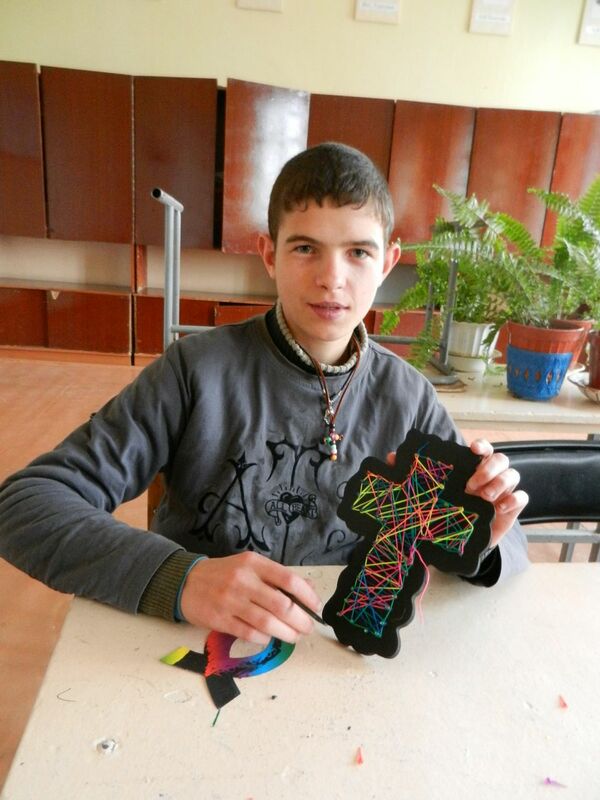 God has continued to call them to Ukraine in an effort to reach the voiceless and give them a voice, hope and love. God calls each of us to a specific place, time and season to do His work as Christians. God has shifted their call to Ukraine.....for the time being. Again they go where God leads where ever it may be. Our Brady Bunch Shot With Our Oldest Son, Kolya! The Dewberrys came together as a family after hosting their now 18 year old now son, Kolya from Ukraine during Christmas 2010 through an International hosting program called New Horizons For Children, Inc. In the midst of hosting Kolya, Joe and Nicole felt the Lord was going to lead them through more then just hosting in Ukraine. Nicole and Joe was were blessed to work with NHFC as a volunteer Regional Directors in North Carolina for the orphan hosting program. 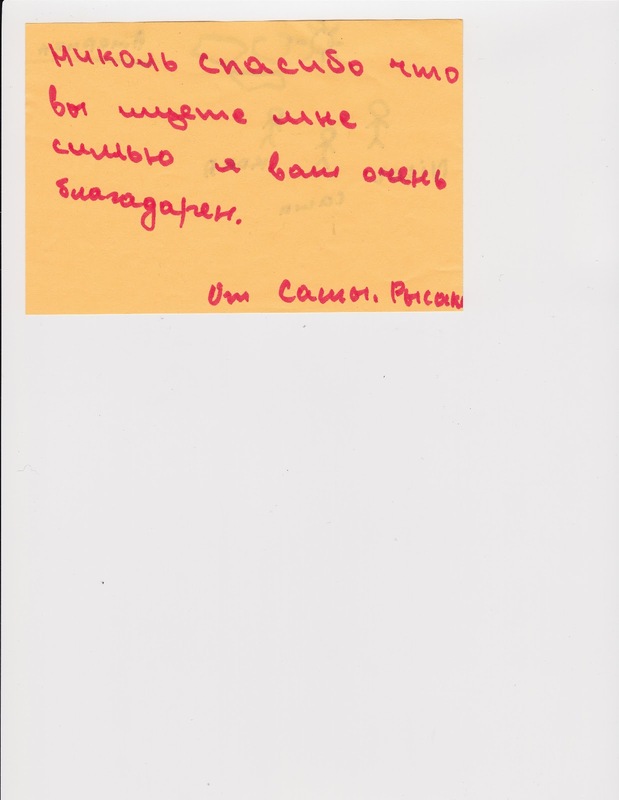 Nicole realized that in time there seemed to be a decline to host children from Ukraine with all the politics that was abounding in Ukraine. So she felt a lead to break away from hosting and go where God leads to travel to Ukraine and be wide open to God to lead her to orphanages to met children that could no longer be hosted and advocate to find them forever families that were aging out. For the last 6 years Nicole has been traveling to Ukraine several times a year to teach English in orphanages, teach the children about Jesus, show them the love of Christ and advocate for true orphans that want a forever family. 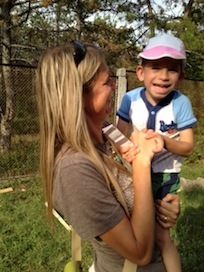 Nicole brings aid to the Ukraine military, visiting the military in the hospitals as well as meeting active duty and on the field military and serving with mission teams the local folks that remain in regions that are devastated by war with her oldest son Misha. 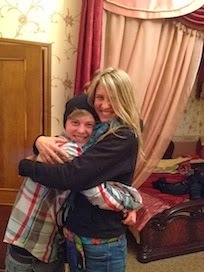 The Dewberrrys children have returned with Nicole to Ukraine on many occasions to serve the people of their country. Kids are Joe and Nicole's love and passion. 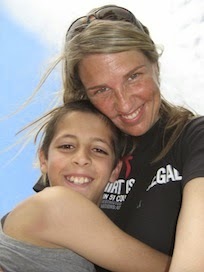 Nicole has worked with teens for 22 years. Joe and Nicole together have done mission work with youth and have specifically worked with at-risk youth and in church youth ministry for 17 years. The Dewberrys arms are wide open to show the love they have for the lost and forgotten youth. 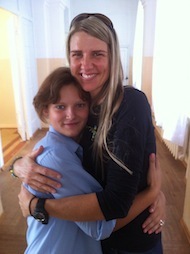 The Lord lead them back to Ukraine in 2012 to adopt Tania, 10 years old & Stopha who is 8 years old and are HIV+. In 2014 the Lord lead the Dewberrys back to Ukraine to adopt Bogdan 12 years old who is HIV+ and Angelica 19 years old and Kristjan 16 years old. Then in 2015 the Dewberry's returned for Vova 16 years old and Viktor 12 years old. None of the Dewberrys children would not be home without the prayers and the hands of feet of Christ of folks coming alongside their family to see their children home and also all the mission trips Nicole has been on. 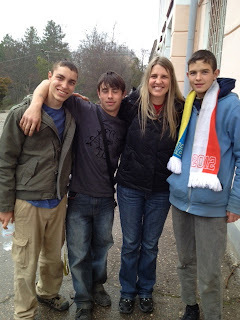 Nicole and her children continue to return to Ukraine to do mission work advocating for orphans that want forever families, teaching them about Jesus, teaching them English as well as doing doing mission work with the military and regions of devastation by serving those left behind. With the greater increase in adoptions which is amazing there is also a greater need for support for adopted children and their families. 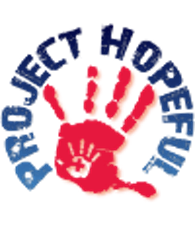 Nicole is now working with Hope Connection International holding classes and support groups to teach pre-adoption classes, connect families that have adopted within the US and abroad and work with families in crises to help prevent disruption. Our family prayer is to go where God leads. 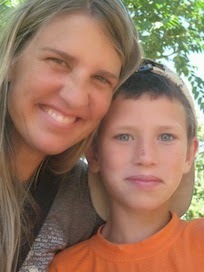 New Adoption Ministry! Click On Photo Below For More Information! 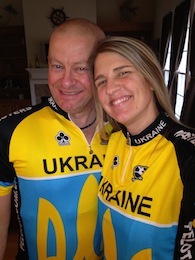 Representing Ukraine In Our Cycling Gear! 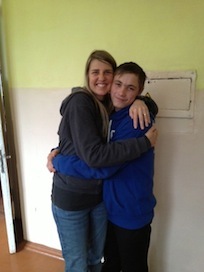 This blog is dedicated to our heart and soul, the orphans that cannot speak out of Eastern Europe. This blog is about our journey of the adoption of our children, the mission work we do in Eastern Europe, advocating for orphans and wherever God leads our family. This blog is also about the trials and tribulations we have faced with hosting, adopting, missions work already and yet to come. The grace, mercies and restorations of our hearts and minds. The incredible friendships God has provided along the way. 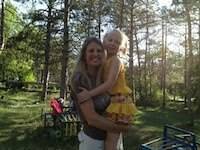 About our missions trips to Ukraine working with orphans. 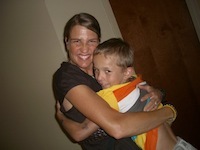 The blessings of when Nicole volunteered with New Horizons For Children as Regional Director. 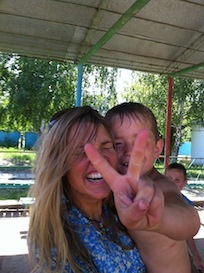 All our crazy stories & adventures we have had along the way here in America and in Ukraine. And oh how we have adventures and stories! This blog is a dedication to our Lord and Savior encompassing the one thing he treasures more then anything, His children.....the orphans. THE COUNTDOWN BEGINS TO BRING SCOTT HOME! Can You Help Us Bring Scott Home? THE FRONTAL ASSAULT HAS BEGUN!